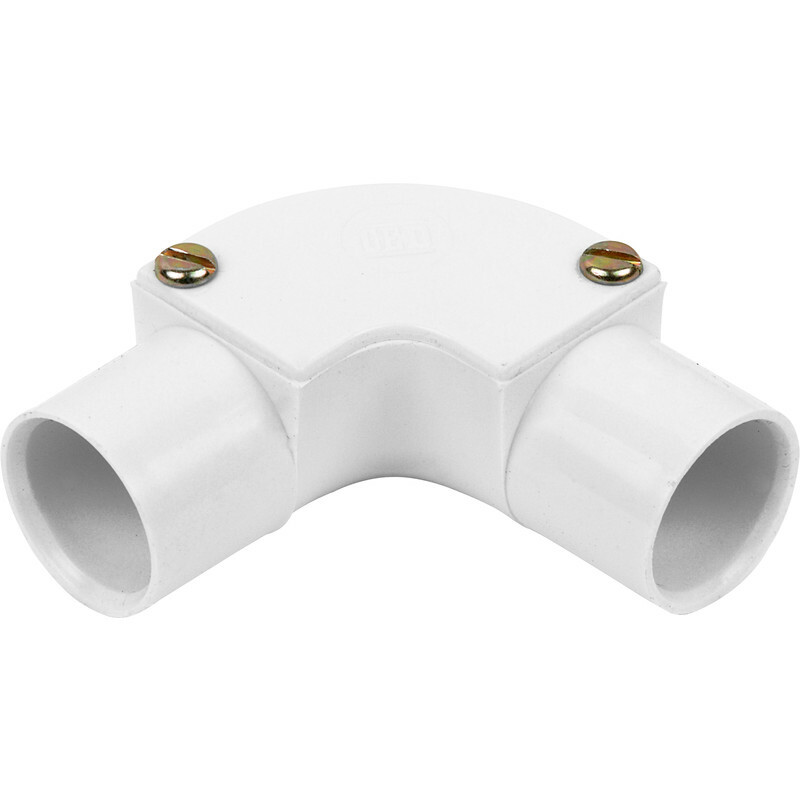 20mm PVC Inspection Elbow White is rated 2.9 out of 5 by 8. Rated 1 out of 5 by Gavinb from ok if you only need one or two I used 70-100 of these on one job, then spent 4-5 hours cleaning of the stickers some clever person thought a good idea to stick on the front! Well I guess that is why they stick stickers on for a living, cant even do that right. Yes I am a little annoyed. Rated 5 out of 5 by Mr Frustrated from Best price Does the job as intended. Rated 1 out of 5 by cl22cl from Poor quality I'm far from impressed with the quality of this item, the moulding is poor with no rubber gasket provided. Not happy and won't be using them but too much hassle to try and return them especially considering the price, you definitely get what you pay for.